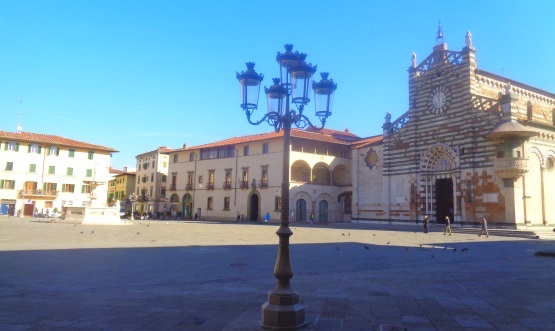 Prato is, next to Fiesole, a popular destination for tourists in Florence in the surrounding area. Further destinations in greater distance are for example Pisa with the Leaning Tower or Siena. Prato is a big city with 200.000 inhabitants. As it is only about 20 km from Florence to Prato in front of the city centre, Florence and Prato are sometimes even called double cities. In Prato there is something special. It has been a city of the textile industry for a long time. Almost every fourth inhabitant in Prato, i.e. about 40,000 to 50,000 people, come from Asia, above all from China. Many of the Chinese work in the textile industry. There are often reports in the Italian media about very bad working conditions of the Chinese workers in Prato. After Florence, Prato is the second largest city in Tuscany with around 195,000 inhabitants. Florence has about twice as many inhabitants (390,000), Livorno at the sea a little less (160,000). Tourists are also interested in the clothes from Prato, but above all they come to the city in the Tuscany because of the sightseeings in the old town. 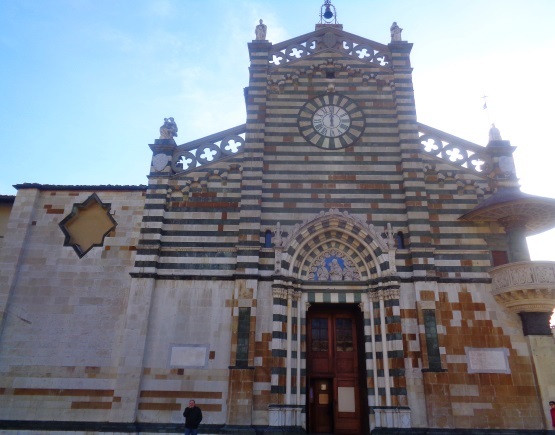 Cathedral San Stefano: The biggest sight in Prato is, as in many cities of Tuscany, the cathedral. Since 1996 the church is a basilica. From the outside and inside a typical Tuscany church. One can simply go into the cathedral San Stefano Prato, we did not have to pay any entrance fee. The frescoes by Filippo Lippi from the 16th century with the themes of John the Baptist and Saint Stephen, who gave his name to the Basilica Minor in Prato, are well known in the church of Saint Stephen Prato. Prato Textile Museum (Museo del Tessuto): A very interesting museum about Prato’s most important industry since the late Middle Ages until today. You can also learn a lot about the history of the city, which is closely linked to the production of clothing. The textile museum is located in the south of the old town of Prato. The way there from the old town (from the cathedral, etc.) is signposted. 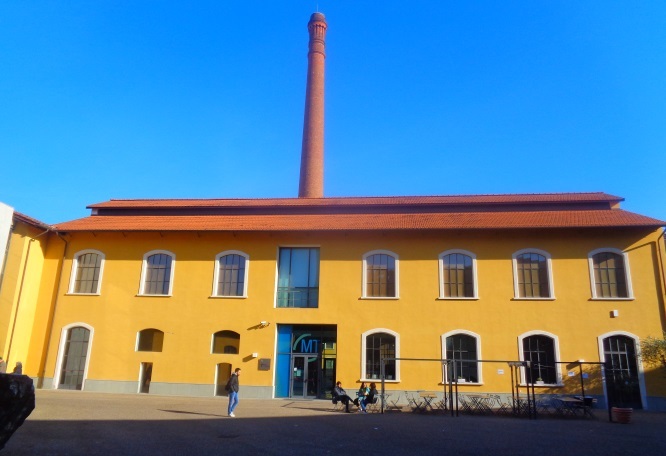 Admission Textile Museum Prato 2019: 7 Euro, over 65 years and children, students 5 Euro, under 6 years free. Opening hours Textilmuseum Prato 2019: Tue, Wed, Thu 10 am to 3 pm, Fri and Sat 10 am to 7 pm, Sun 3 pm to 7 pm, Monday closed. There are also some factory outlets in Prato, i.e. shops with factory outlets. Here you can buy the clothes produced in Prato cheaply, for example at wholesale prices. 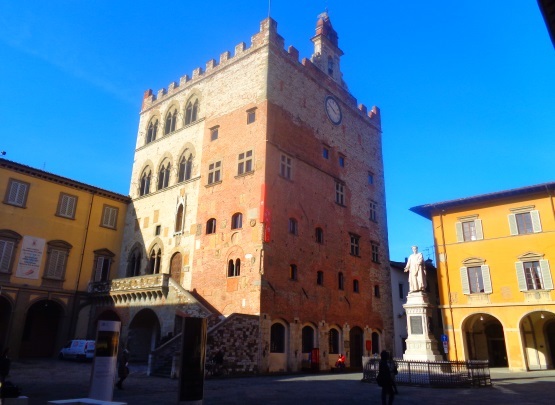 Palazzo Pretorio Prato: The striking Pretorio Palace is the centre of the old town of Prato. Today the Palazzo houses a good museum. Many great works of art from the Middle Ages to the 19th century can be admired in the Pretorio Museum Prato. Among the paintings in the museum are many of native artists from Tuscany. Especially many are by Filippino Lippi and his father Filippo Lippi (both 15th century). Beato Jacopone da Todi“ by Paolo Uccello is known among the paintings in the museum Palazzo Pretorio. There is not only art, the Pretorio museum Prato is also a normal city museum (history museum), signage in Italian and English. From the roof there is a good view of Prato and Tuscany in the surroundings. Planetary Museum Prato: Great, small museum on the planets in our solar system and other topics related to space as a large collection of meteorites (Museum of Planetary Science in Prato or Museo di Scienze Planetarie). There are estimated about 100 meteorites exhibited, to our knowledge the largest collection of meteorites in Italy. In addition there is a large collection of minerals. The planet museum is about 1 km south-west of the old town. The entrance for adults costs 6 Euro, children pay 3 Euro, under 6 years no entrance (in 2019). Opening hours Tue to Fr 9 to 13, weekend 10 to 13 o’clock and 15 to 19 o’clock, Monday rest day. Unfortunately, the signs and information boards in the Museum of Planets Prato are only in Italian. We found the exhibition partially somewhat outdated. Old town in general: Prato is a beautiful city with many shops and many pedestrian zones, very Italian. A stroll through the old town is worthwhile. Prato is a shopping city, especially for textiles and shoes. Chinatown Prato: As already said, almost every fourth inhabitant of Prato comes from China. Most of them already came in the 80s of the 20th century. West of the city center is the Chinatown of Prato (quartiere cinese). There are many shops, supermarkets, restaurants, bakeries and much more – by and for Chinese. Tourists can hardly be found here, only from Asia. The prices in the simple restaurants are quite low, but most menus are only available in Chinese and Italian. Also electronics and clothes should be inexpensive here, beware of forgeries. 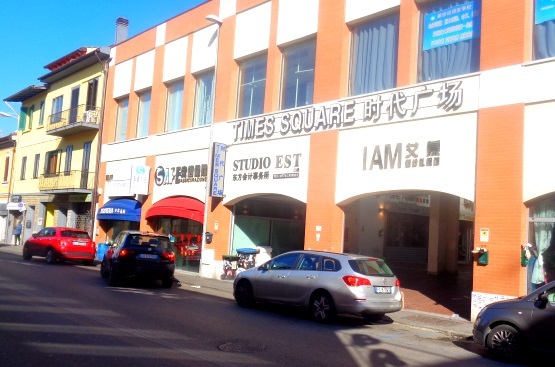 The main street of the Chinatown of Prato is the „Via Fabio Filzi“. The Chinese Quarter begins about 500 west of Prato Cathedral. From Florence it is best to take a regional train. There are usually 2 to 3 trains per hour in both directions during the day. The departures are irregular, the fare is one way 2,60 Euro (beginning of 2019). The journey time by train from Florence main station to Prato is about 20 to 35 minutes, depending on the number of stops. From the main station Prato (Prato Centrale) it is only a few minutes walk to the old town. It is even closer from the station „Prato Porta Al Serraglio“ about 150 meters from the central cathedral Santo Stefano, but beware not all trains stop here. There are also good train connections with cheap regional trains from Prato to Pistoia, Lucca, Viareggio and Bologna. Pisa is almost only reached by changing trains, but this is usually quick. After Siena you have to change trains in Florence and often have to wait a long time. Cantuccini (pastry): You should definitely try a local sweet speciality called Cantuccini (also called Biscotti di Prato or Cantucci in Italy). It is a Madel pastry, dry and long-lasting. You can also take it home from your holiday. It tastes great, you can buy it in pastry shops in the old town of Prato. According to many tourists, Cantuccini is the best biscuit in Italy.